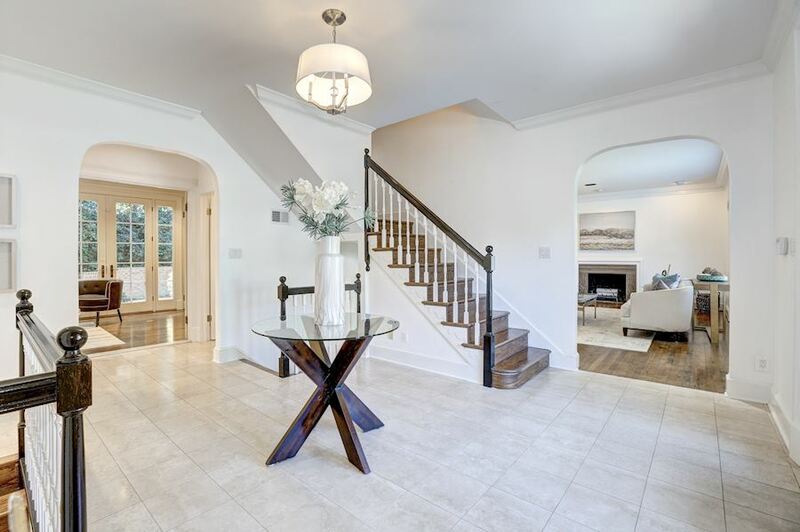 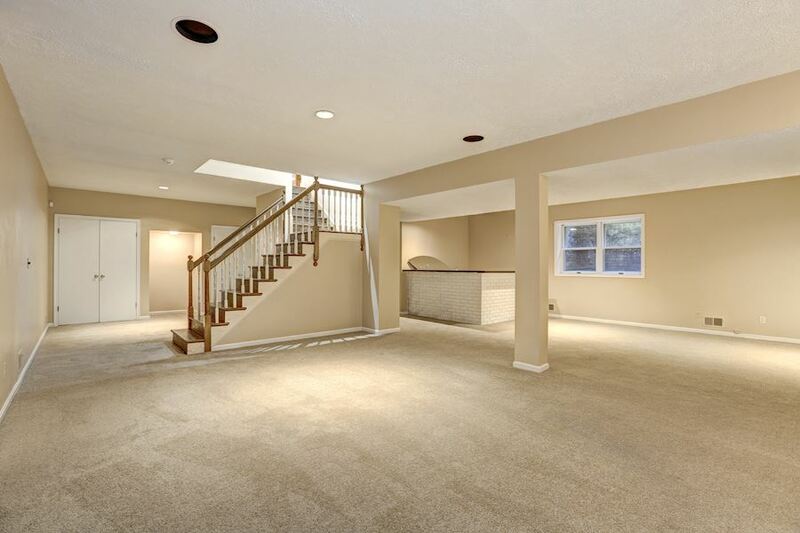 BERKLEY - Expansive 7BR/6.5BA w/ 2-Car Garage in a Quiet Cul-de-Sac! 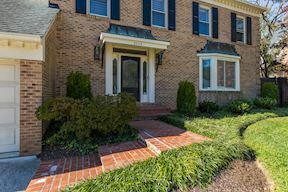 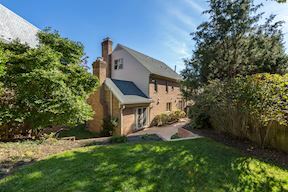 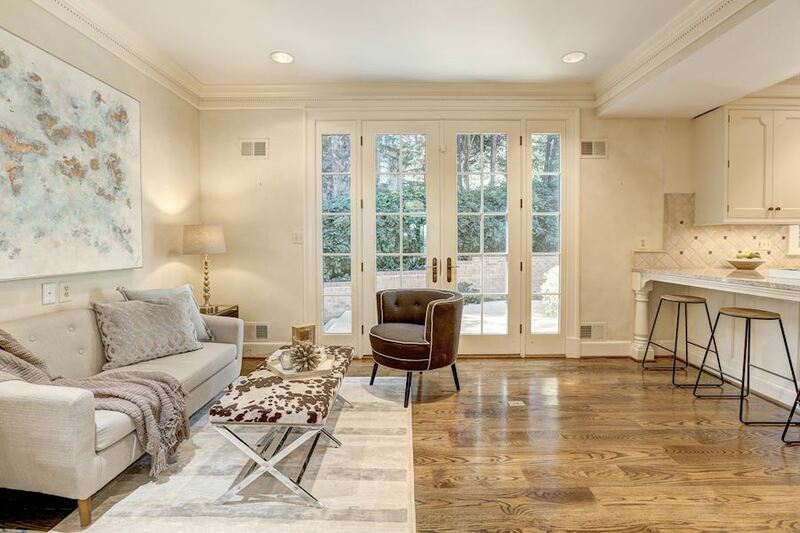 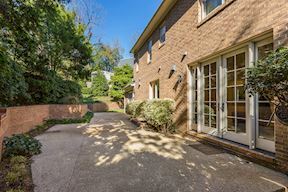 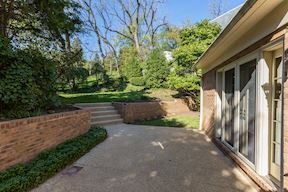 Welcome to 2203 Foxboro Place NW, an elegant brick Colonial that carries with it an immense amount of character and a flowing floor plan. 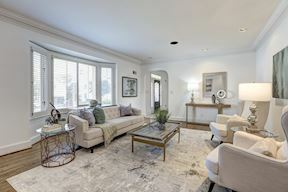 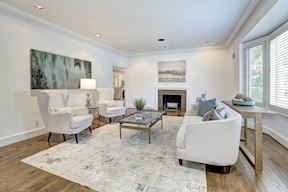 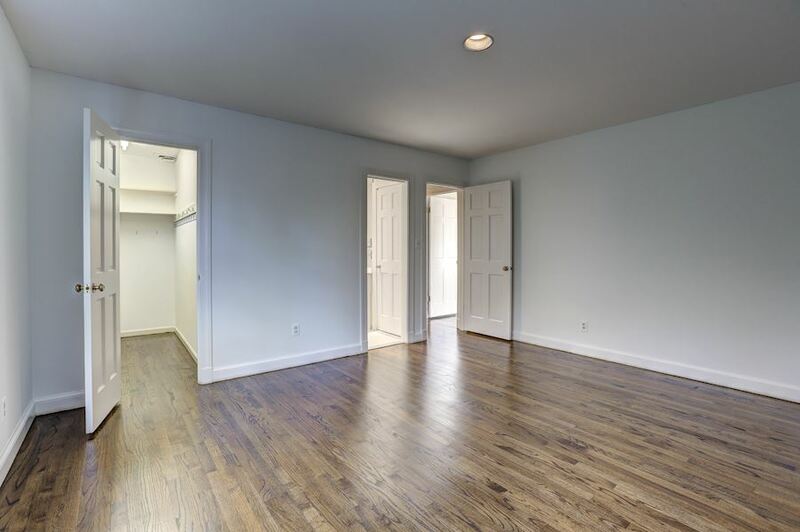 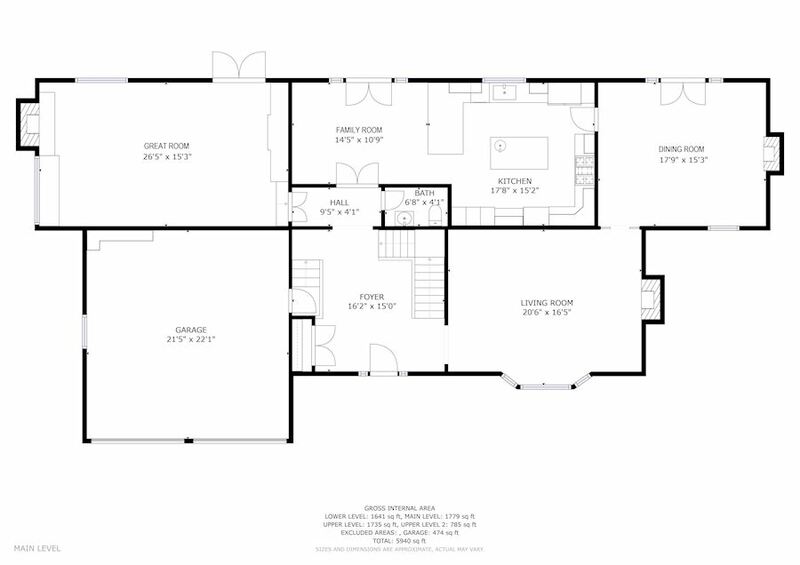 Complete with generously sized rooms and many custom features, this spacious home is just over 6,100 square feet of comfortable living space. 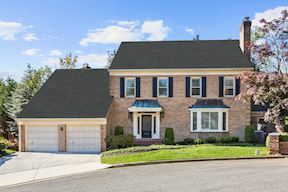 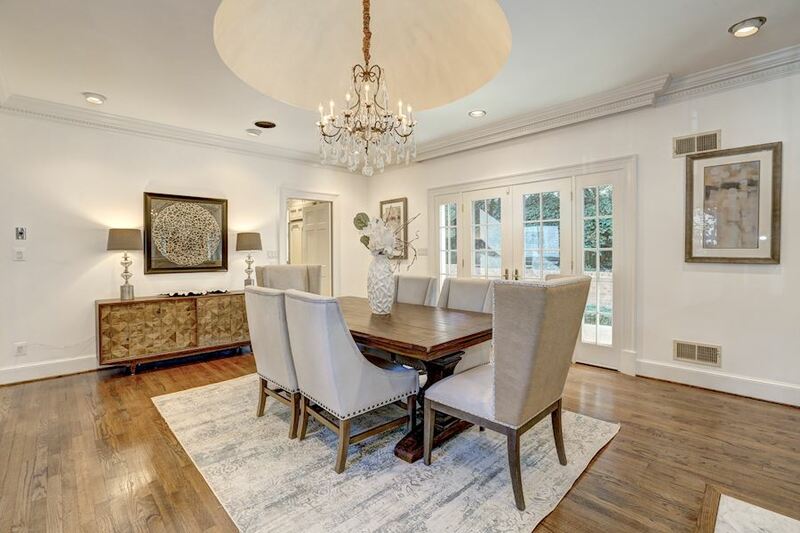 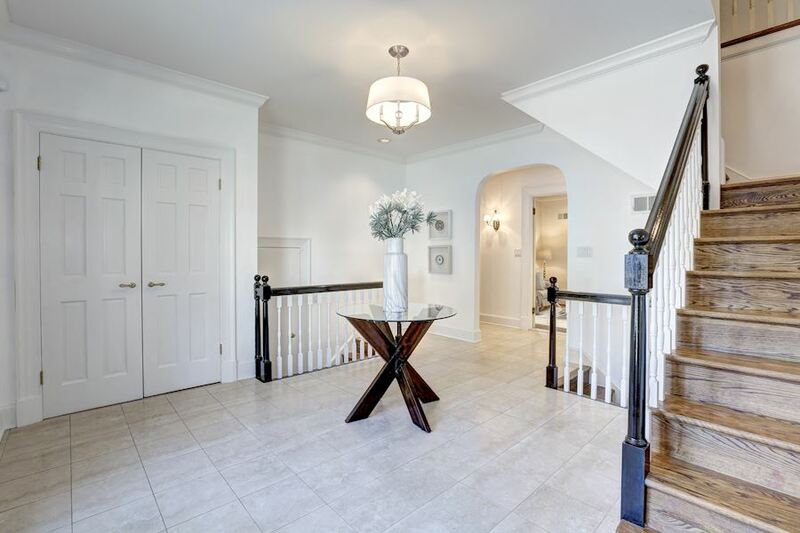 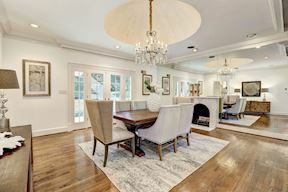 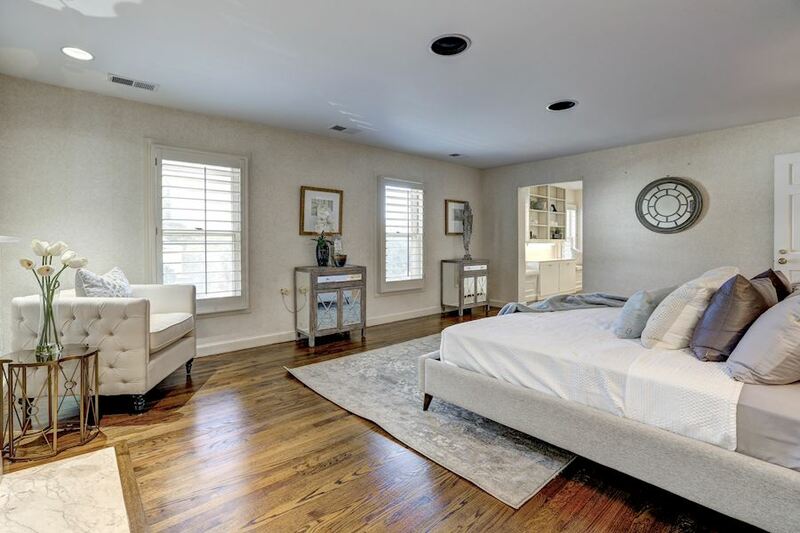 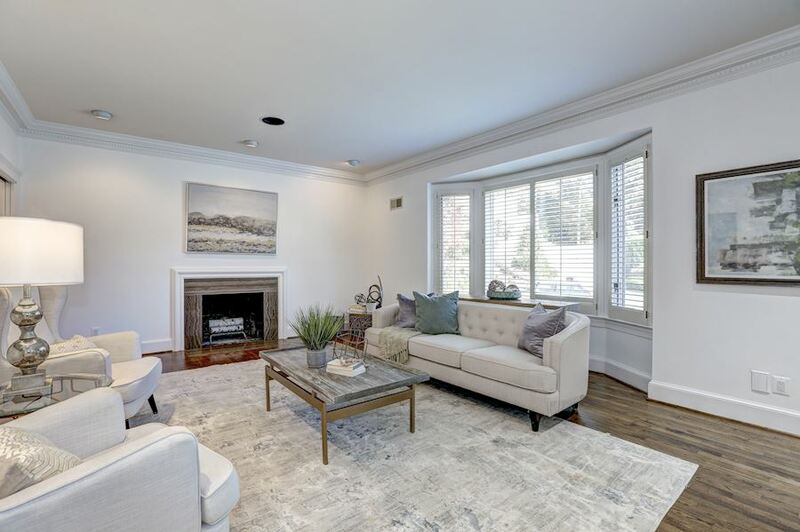 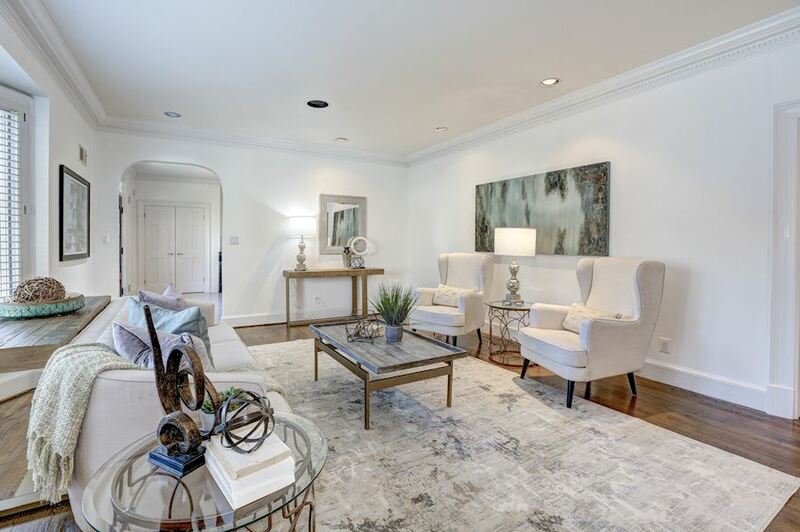 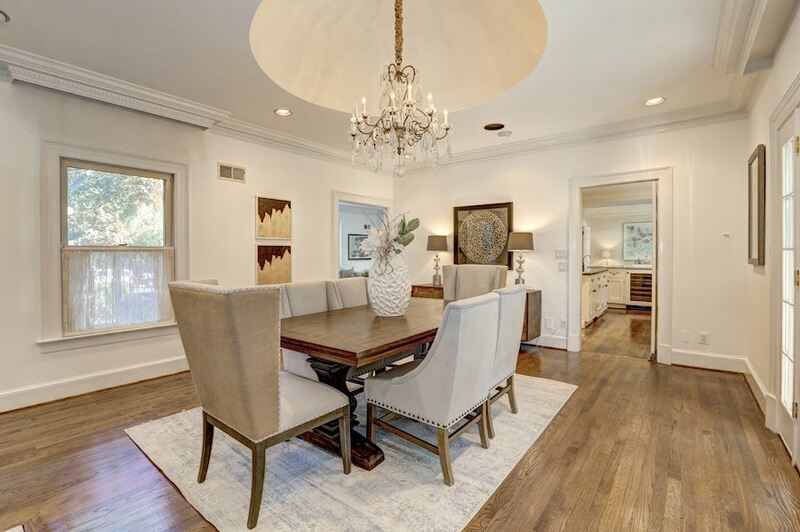 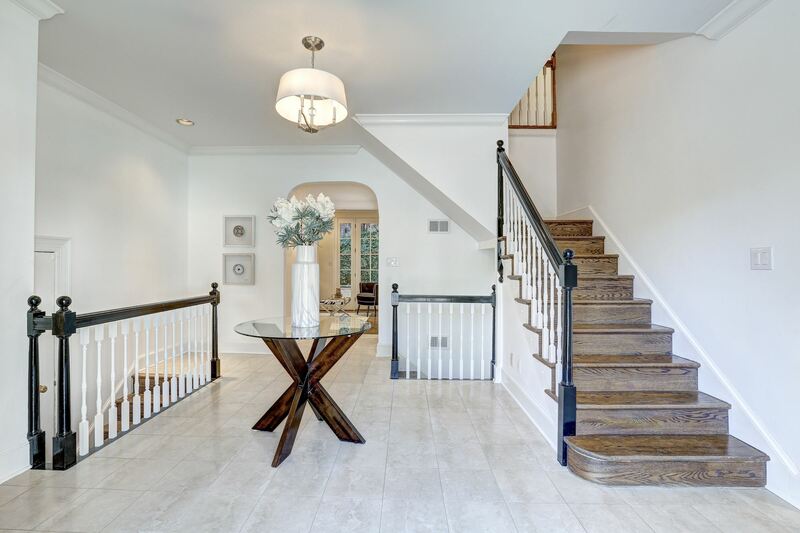 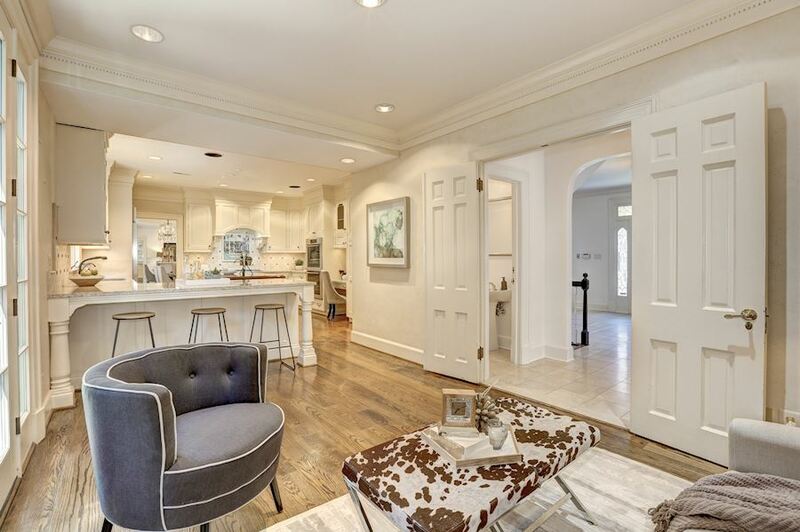 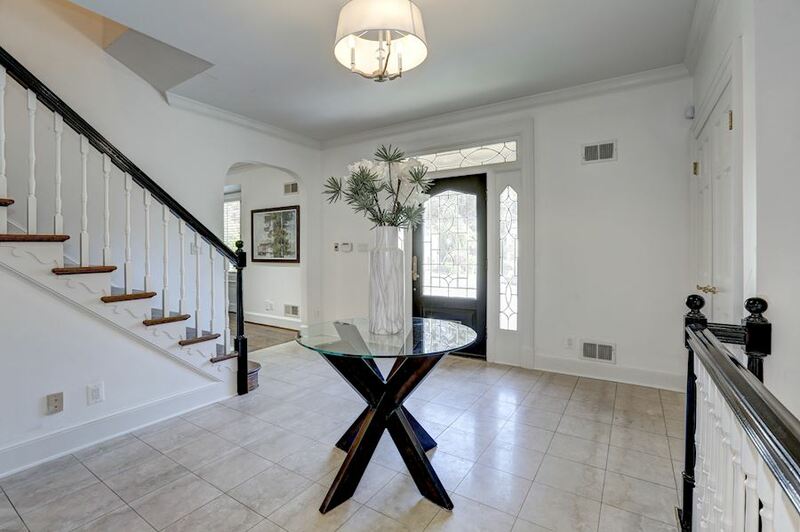 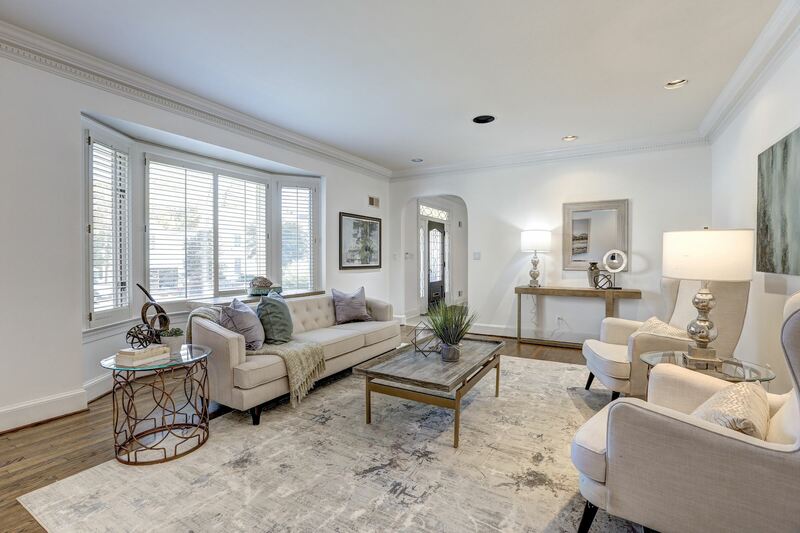 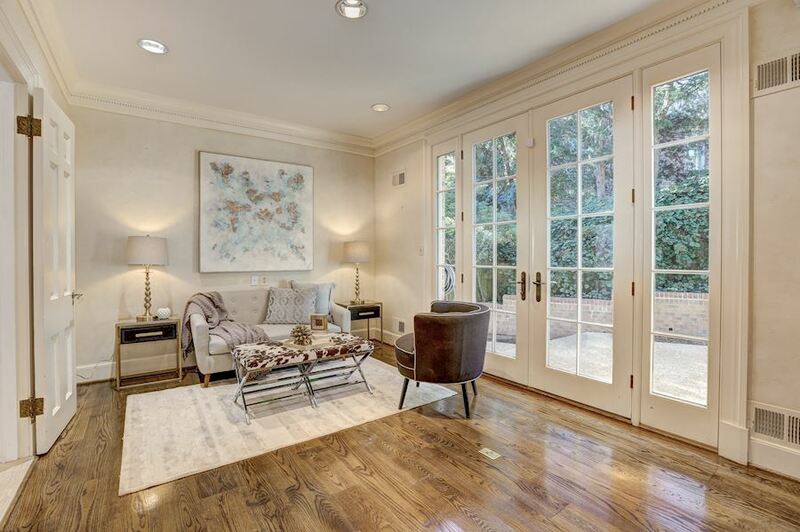 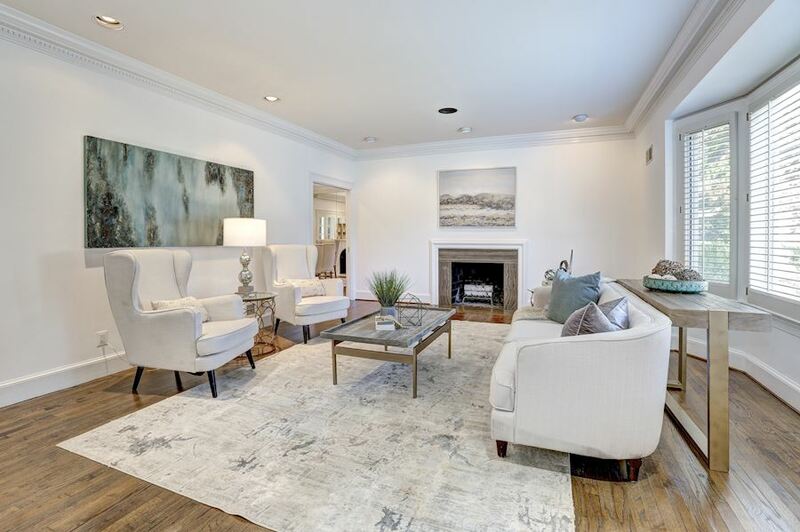 Showcasing 7 Bedrooms and 6.5 Baths throughout 4 finished floors, this gracious home is set in a peaceful cul-de-sac location with a lovely backyard and Patio. 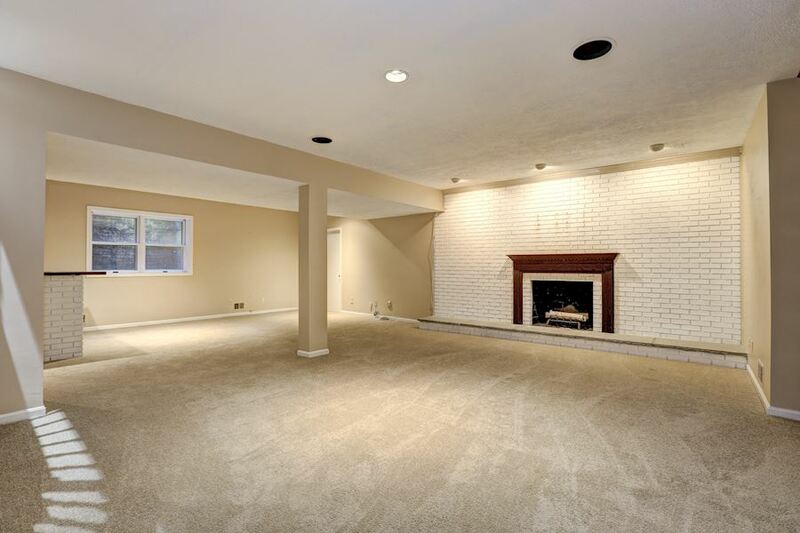 Just off of the inviting Foyer is the large Living Room that has a beautiful bay window, fireplace, and eye-catching layers of crown molding. The Living Room flows into the separate Dining Room that has a spectacular domed ceiling, fireplace, and access to the rear Patio. 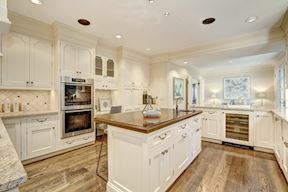 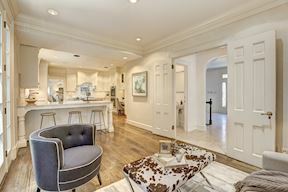 A classic Gourmet Kitchen with adjacent Family Room is a wonderful place for friends and family to gather, making entertaining effortless. 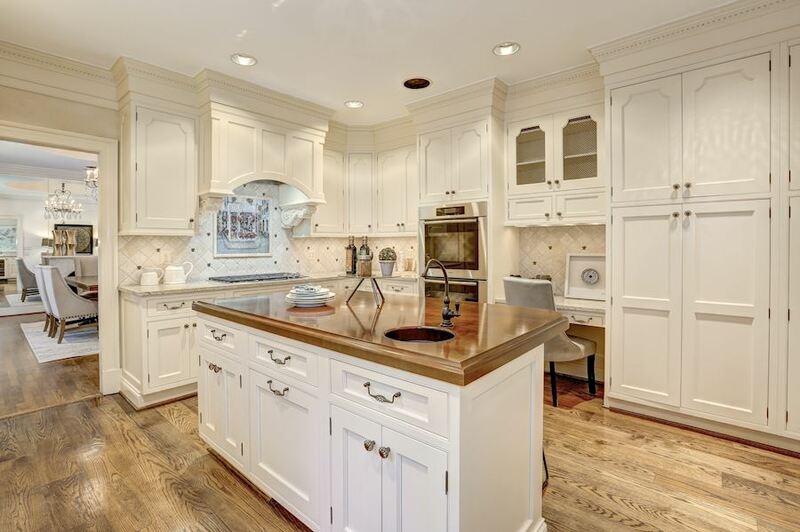 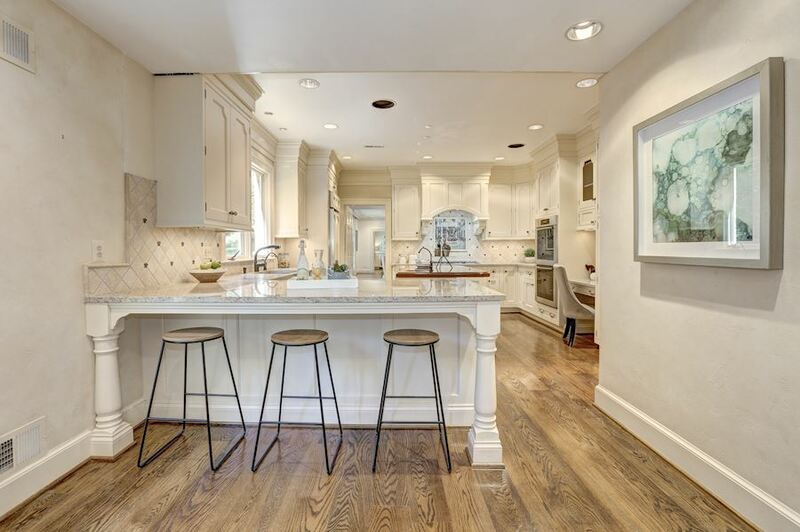 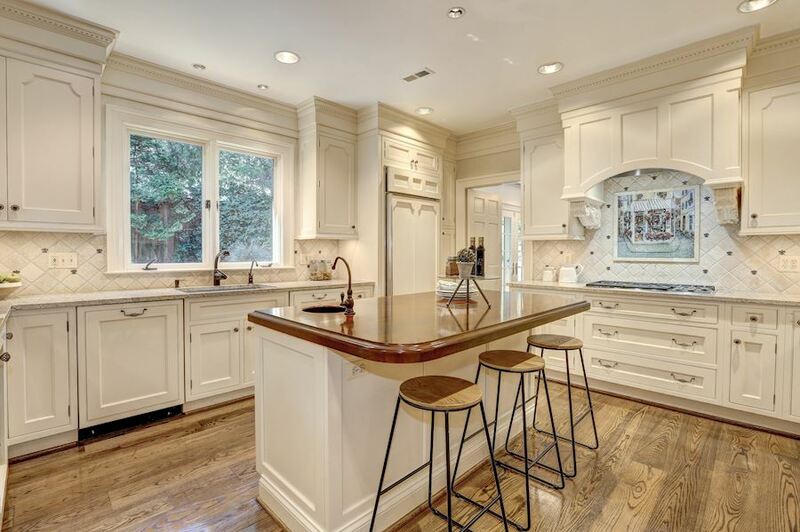 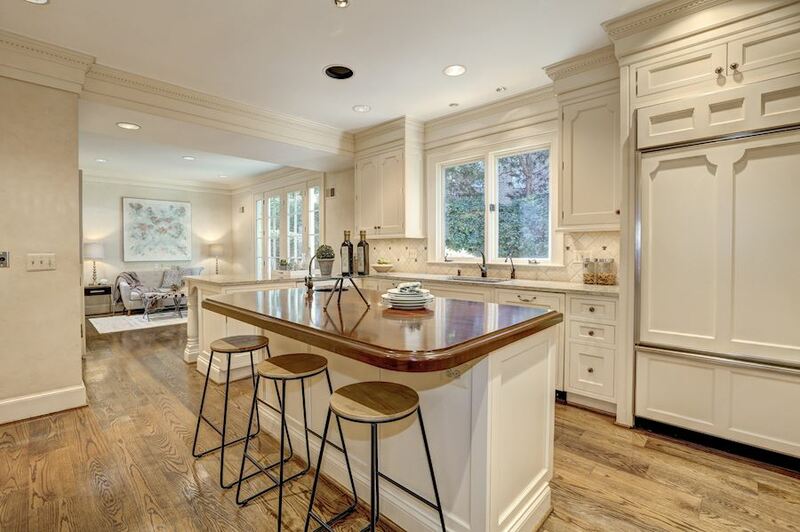 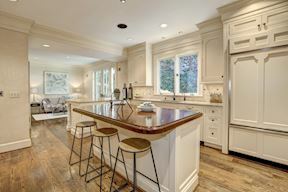 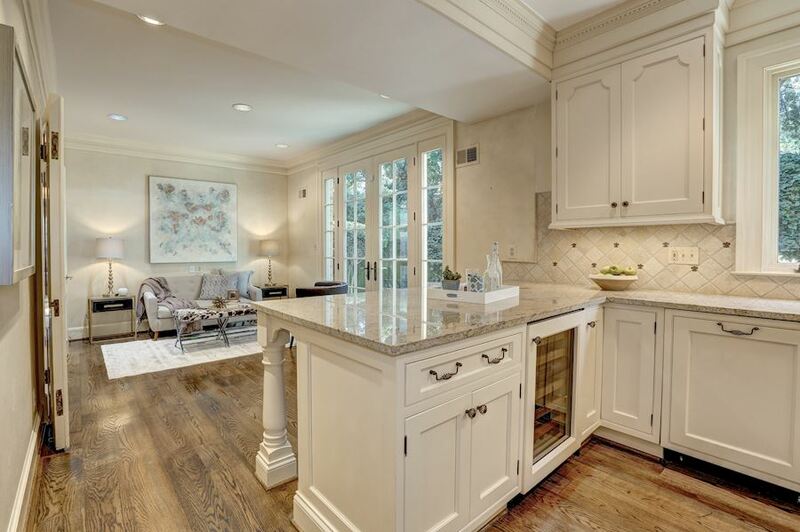 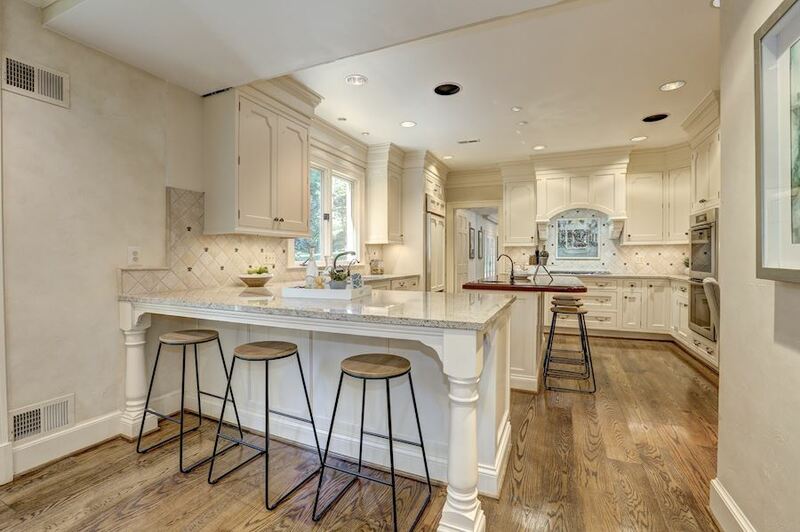 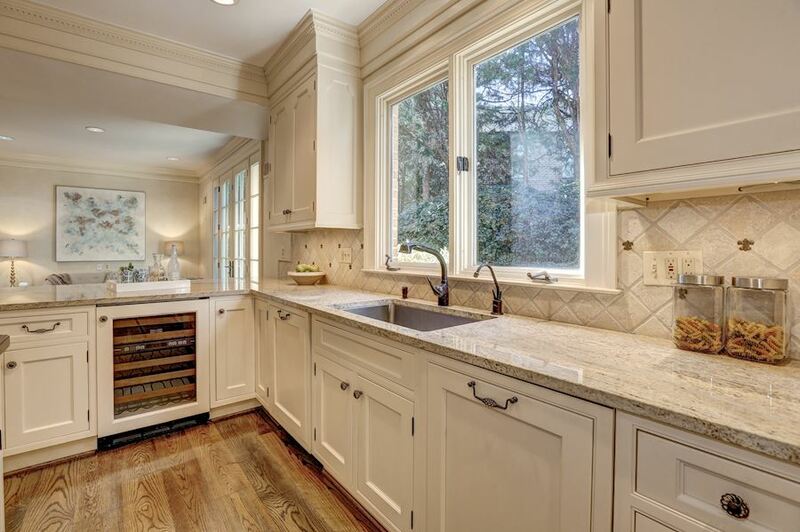 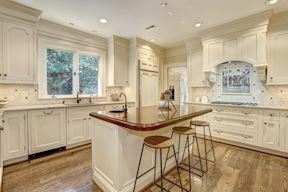 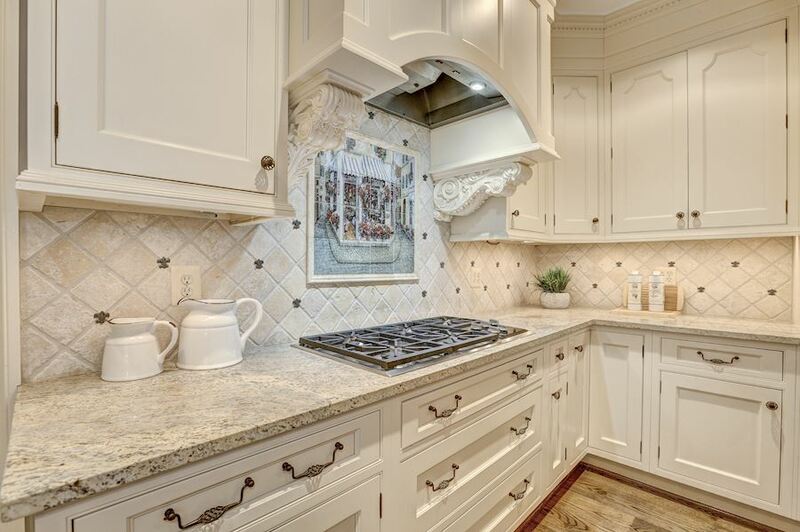 Granite counters, paneled appliances, a wine refrigerator, task sink, and a large amount of custom cabinetry make up this well-appointed eat-in Kitchen. 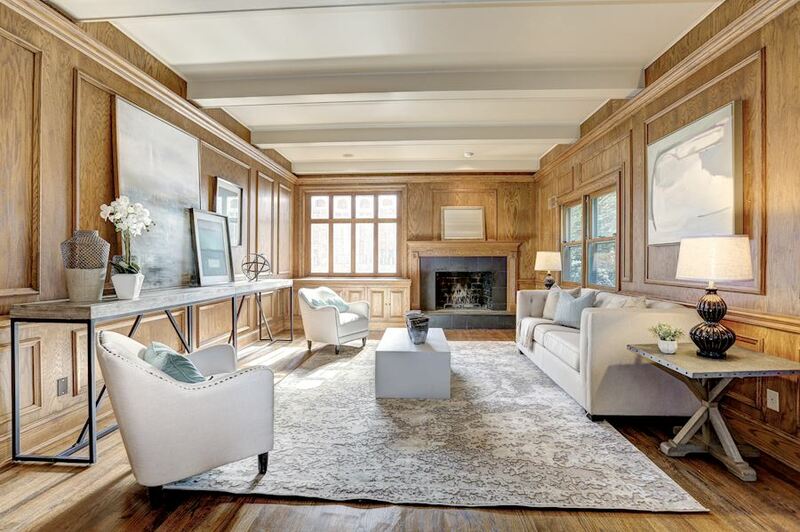 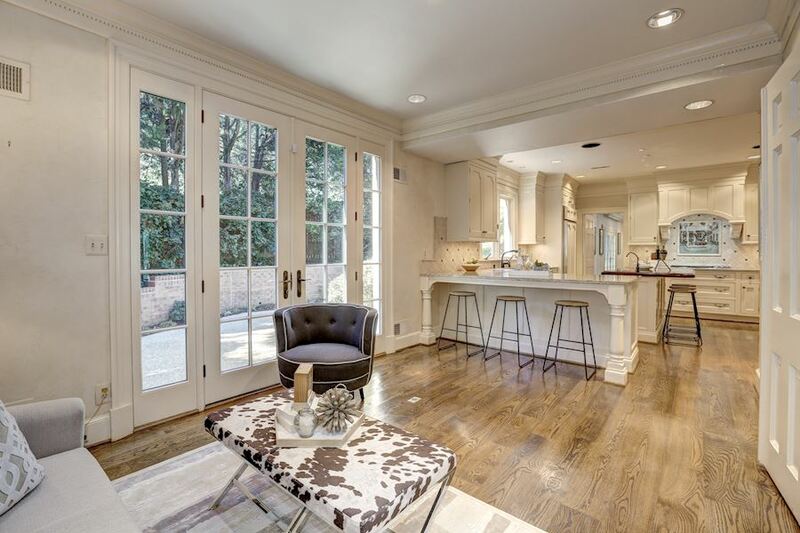 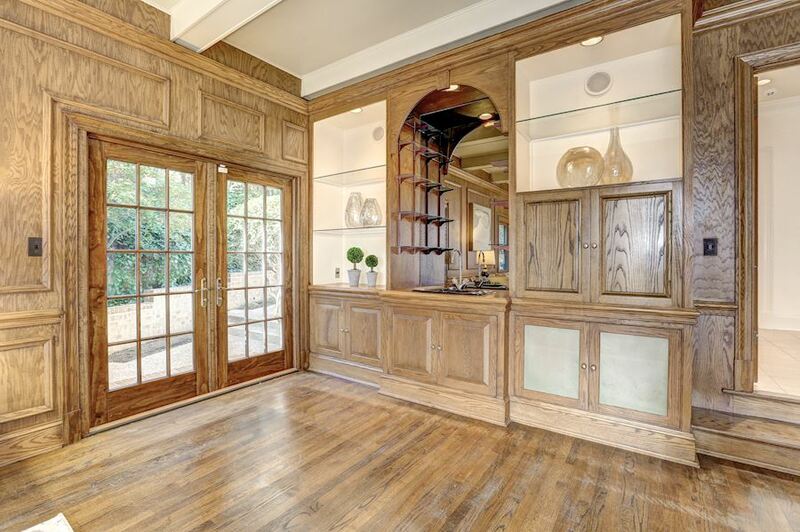 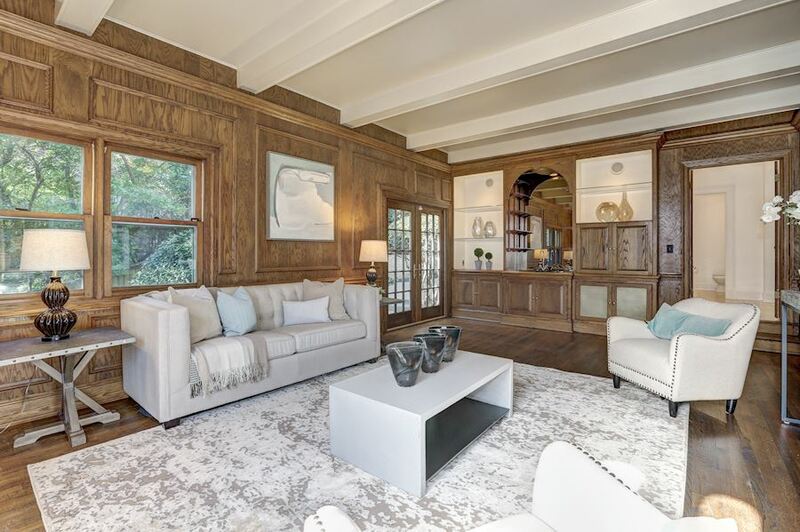 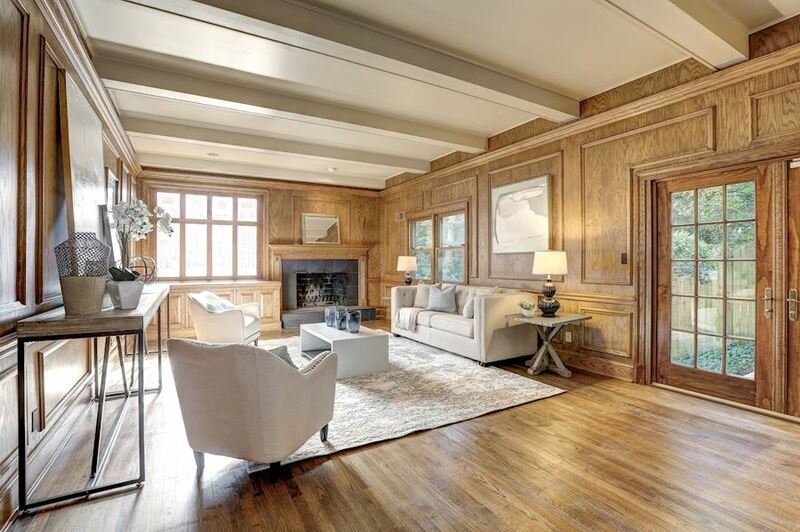 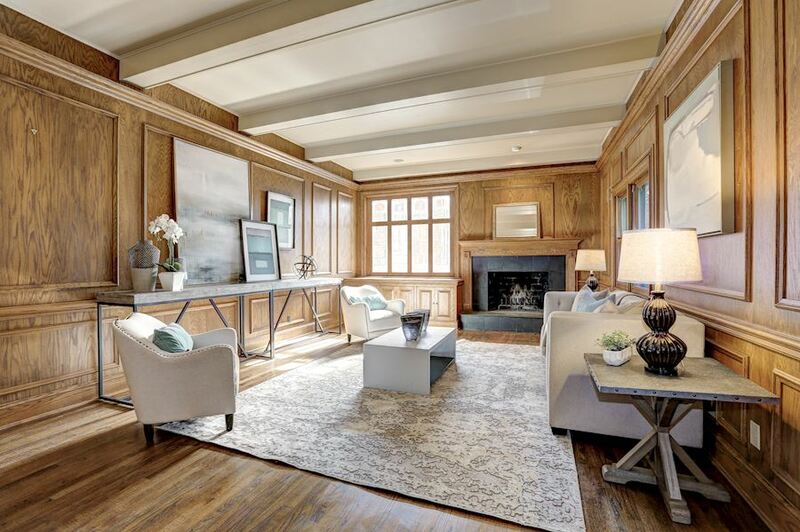 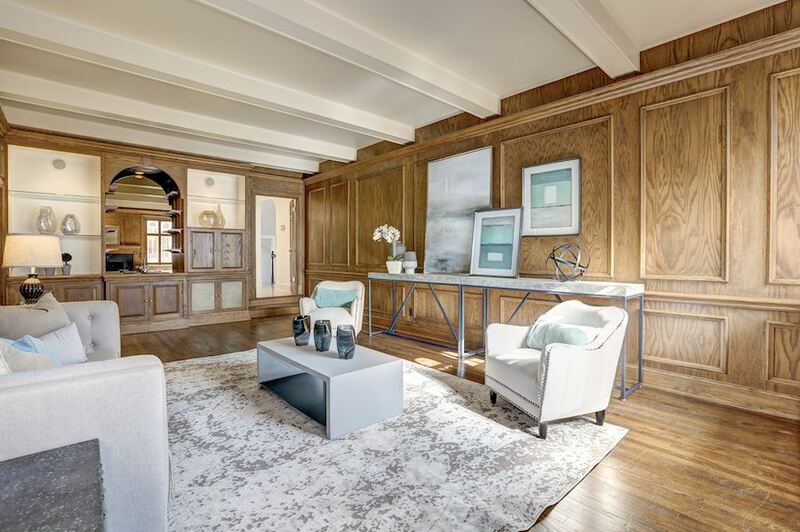 A warm and handsome Great Room features a stately beamed ceiling, custom millwork, a fireplace, and a wall of built-ins with a wet bar. 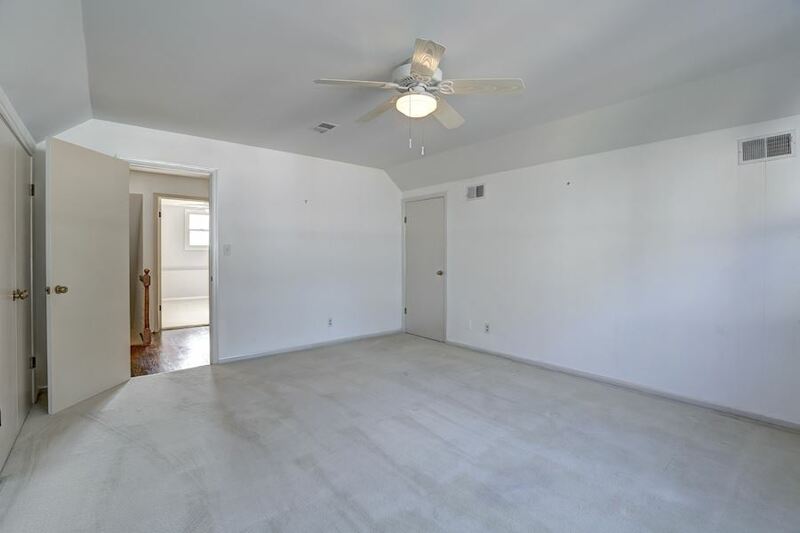 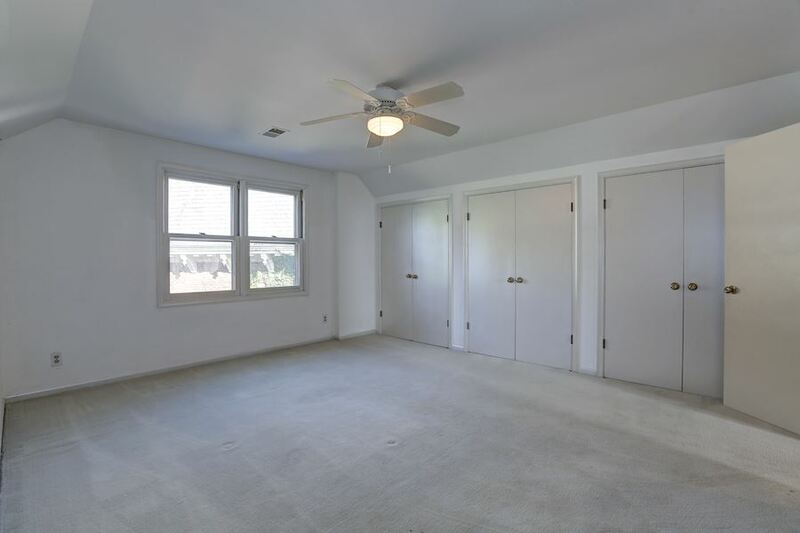 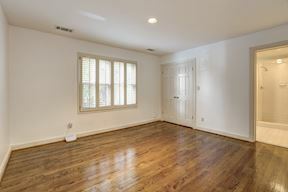 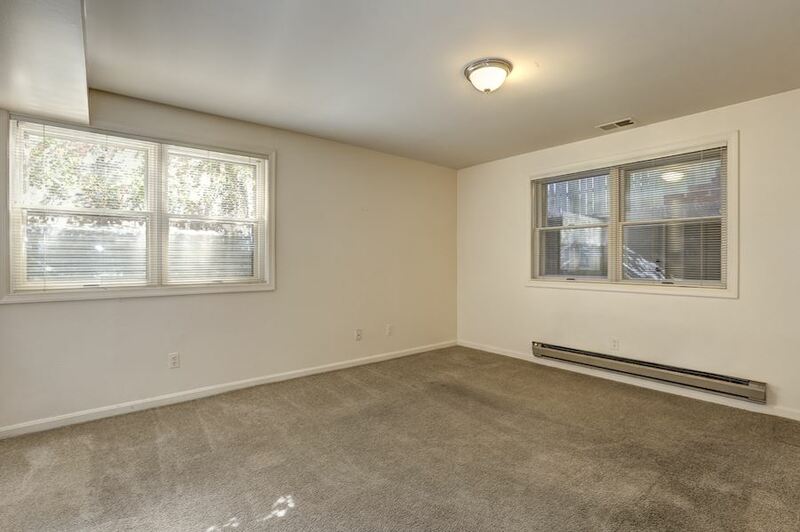 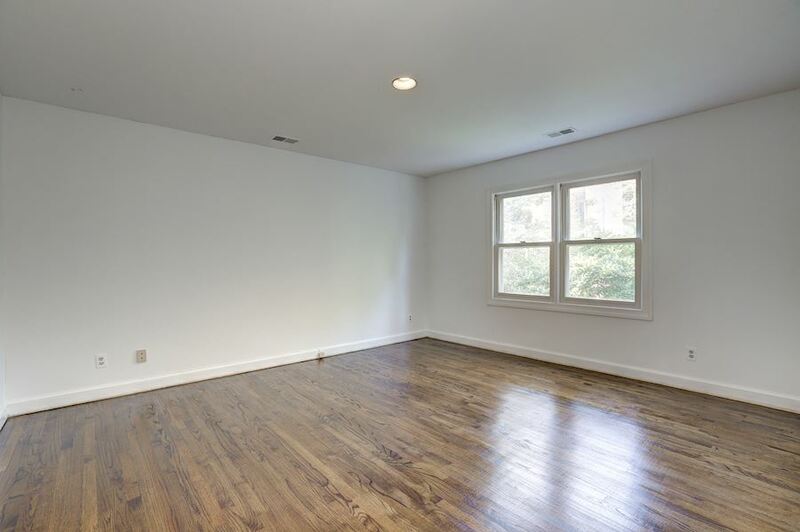 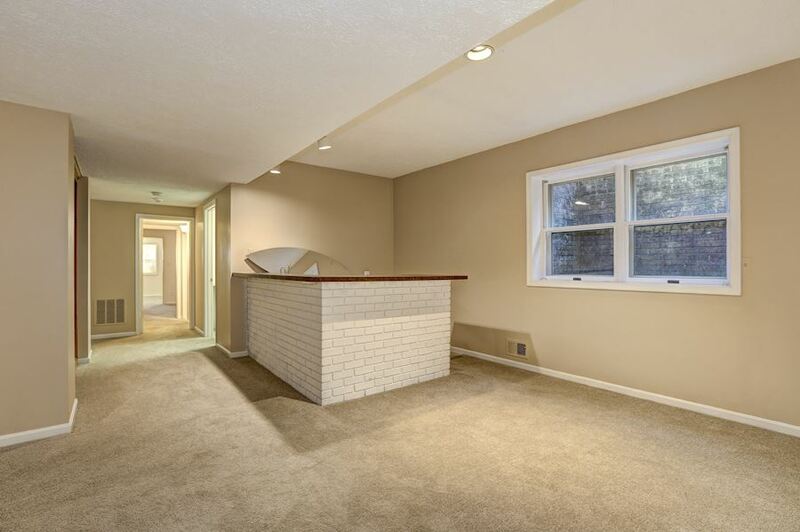 The Dining Room, Family Room, and Great Room all open to a pretty Patio with yard. 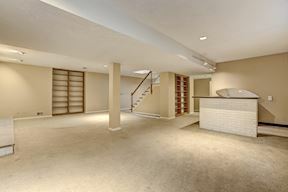 A Powder Room 2-Car Garage complete the Main Level. 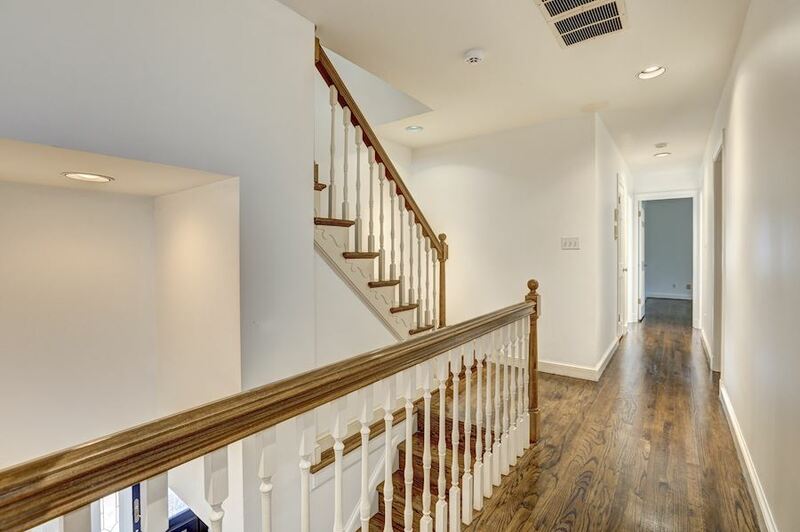 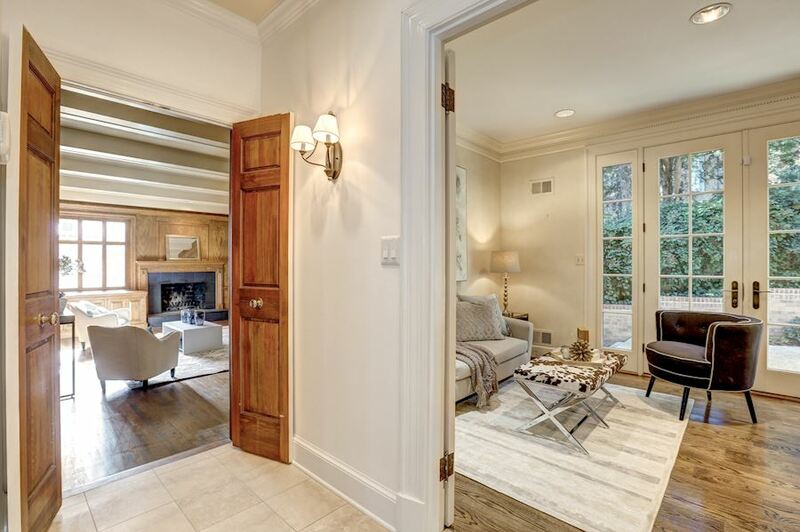 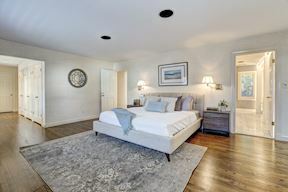 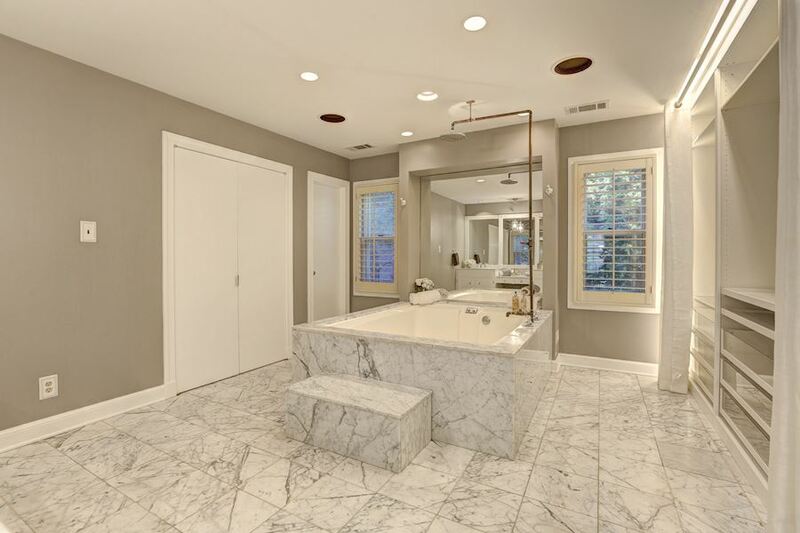 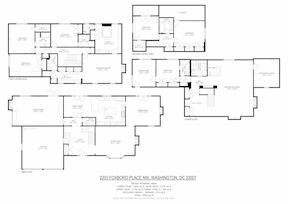 The First Upper Level is comprised of 4 Bedrooms and 4 Full Baths including a grand Master Suite that boasts a fireplace, Dressing Area, and “his/her” Full Baths. 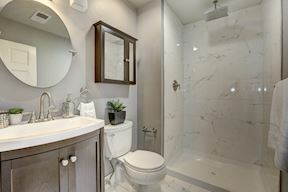 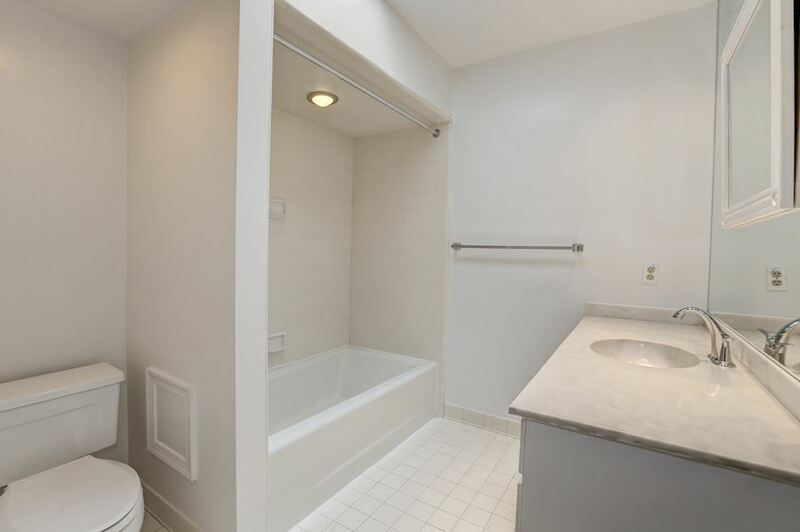 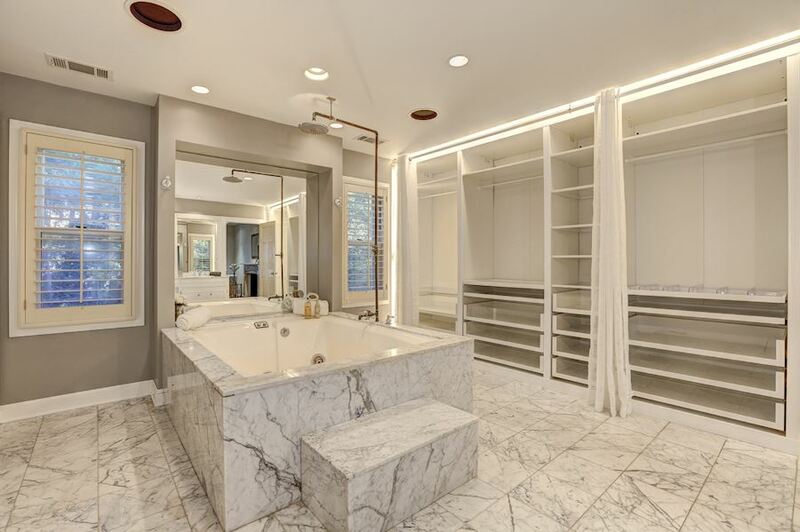 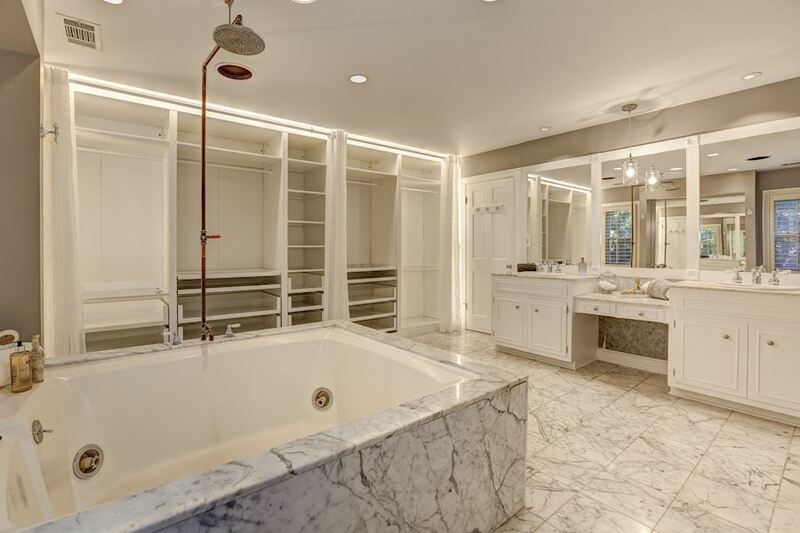 The luxurious spa-like Master Bath has marble tile, a wall of closet organizers, an oversized jetted tub, and separate vanities. 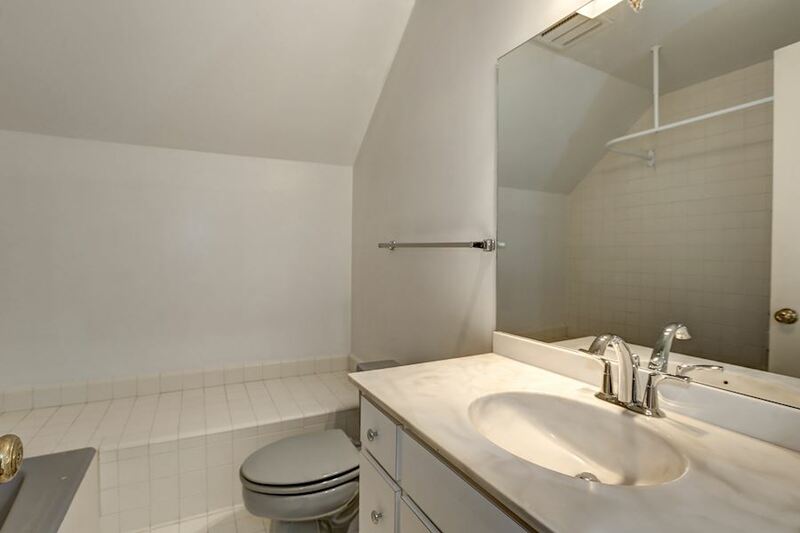 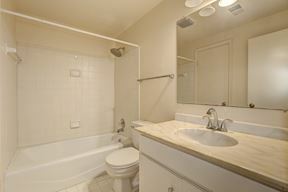 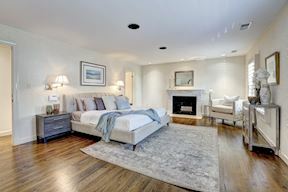 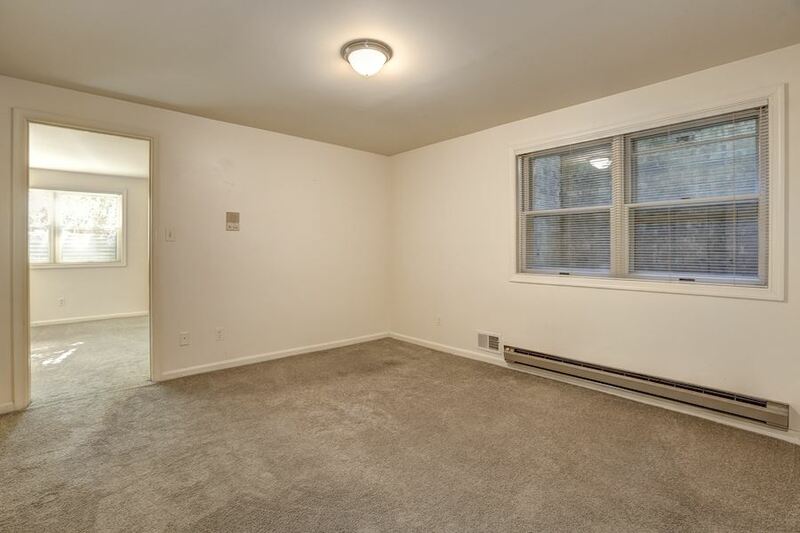 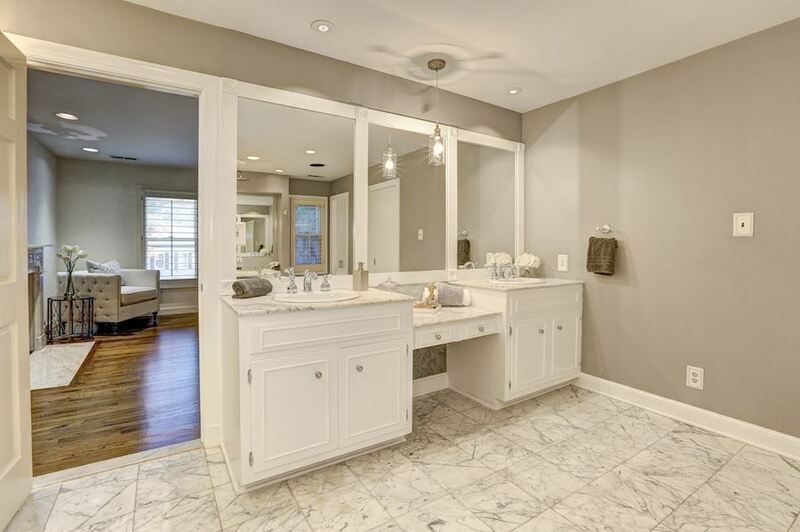 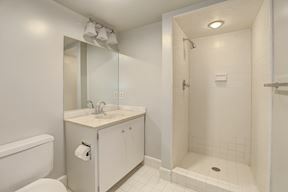 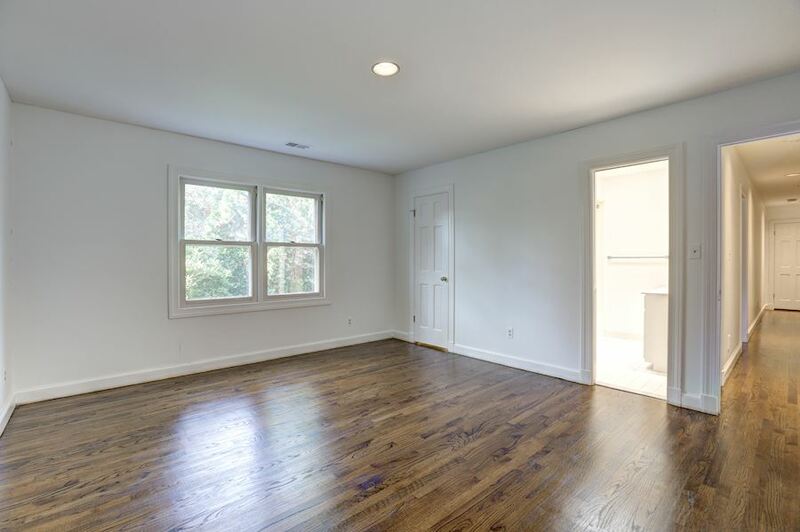 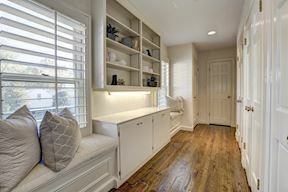 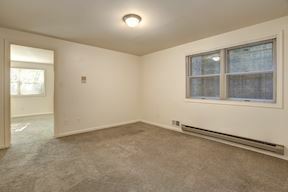 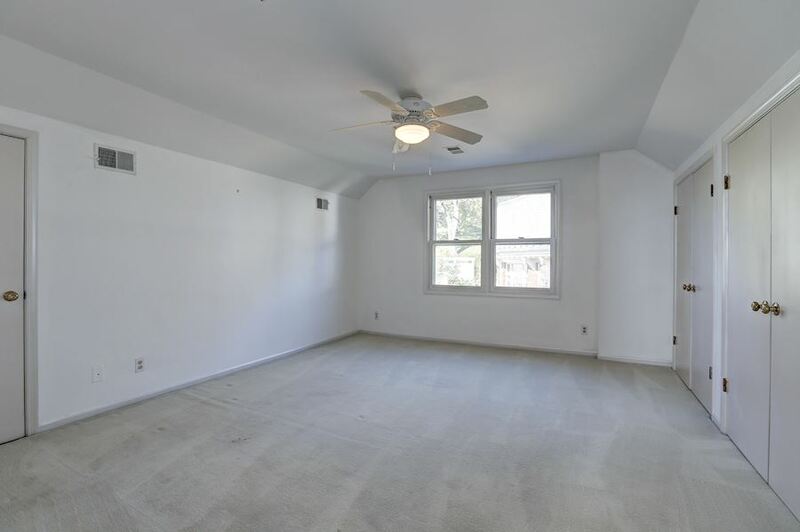 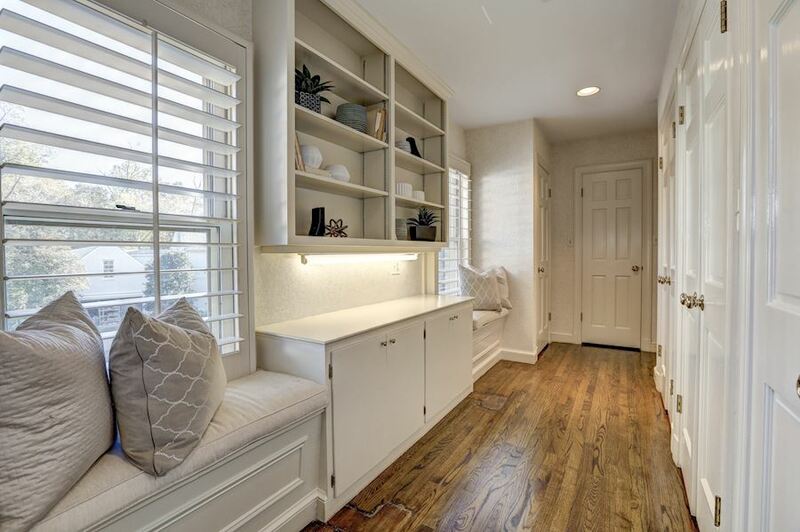 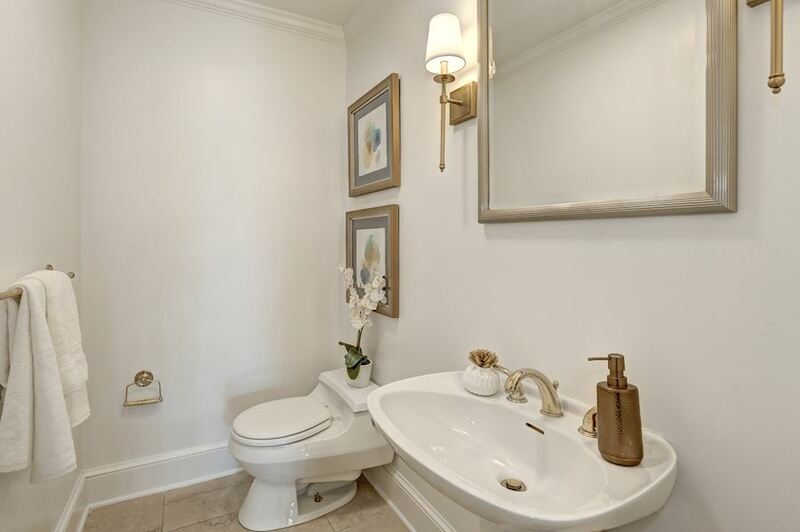 Just off of the Dressing Area is a second Master Bath that has been recently updated. Bedroom #2 has a private Full Bath. 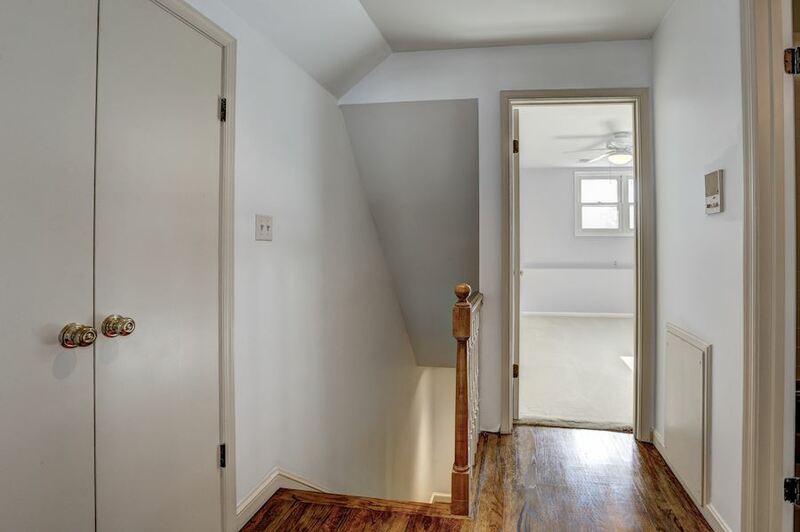 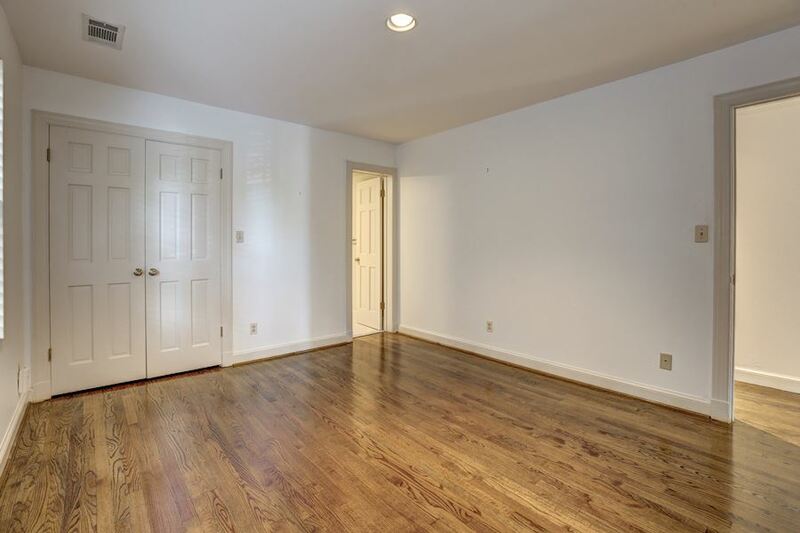 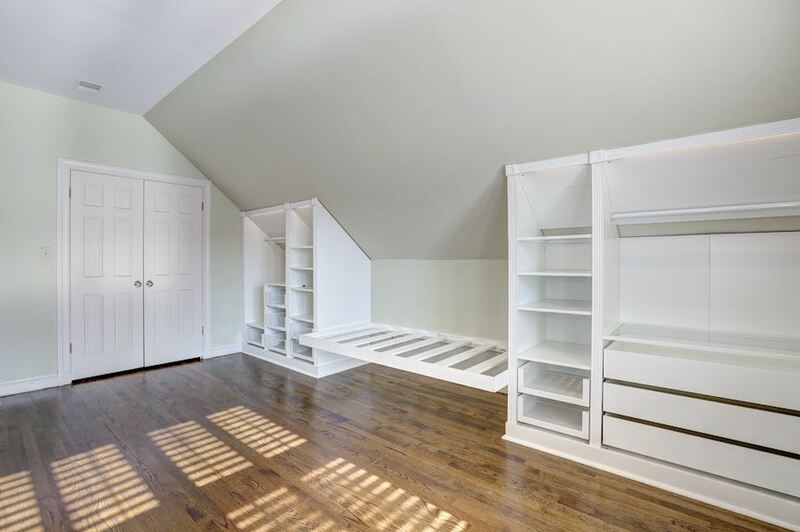 Bedroom #3 has a large walk-in closet and access to a Dual-Entry Bath that also opens to the hallway. 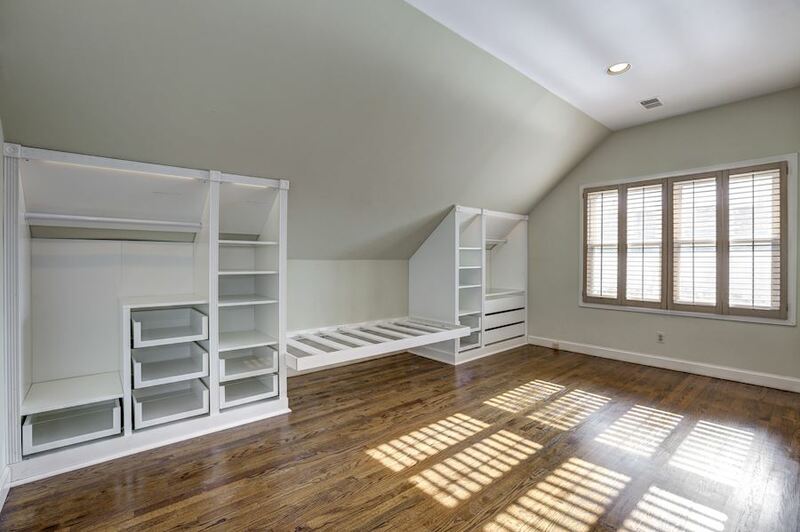 Bedroom #4 is outfitted with a built-in bed and bookshelves. 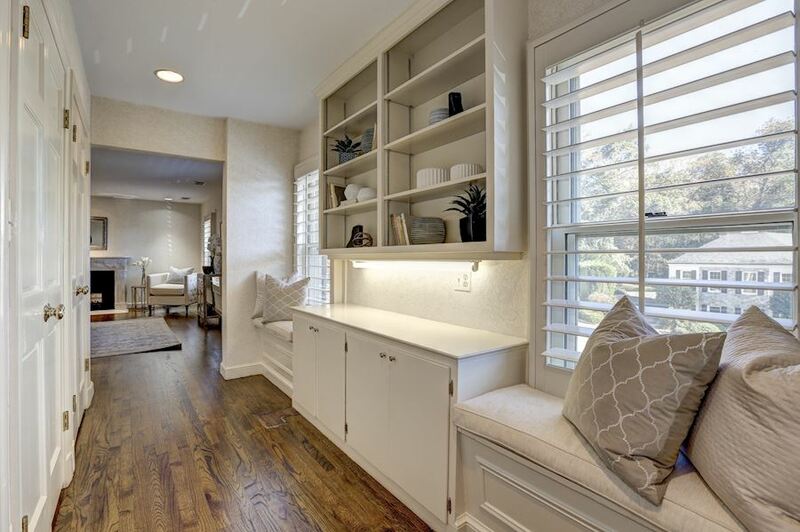 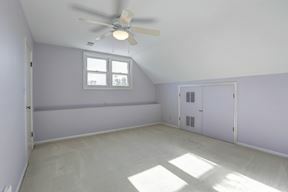 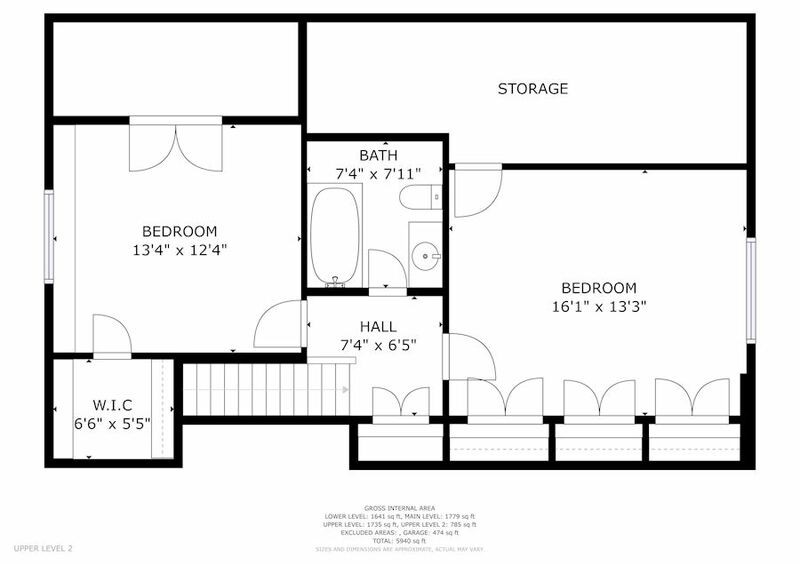 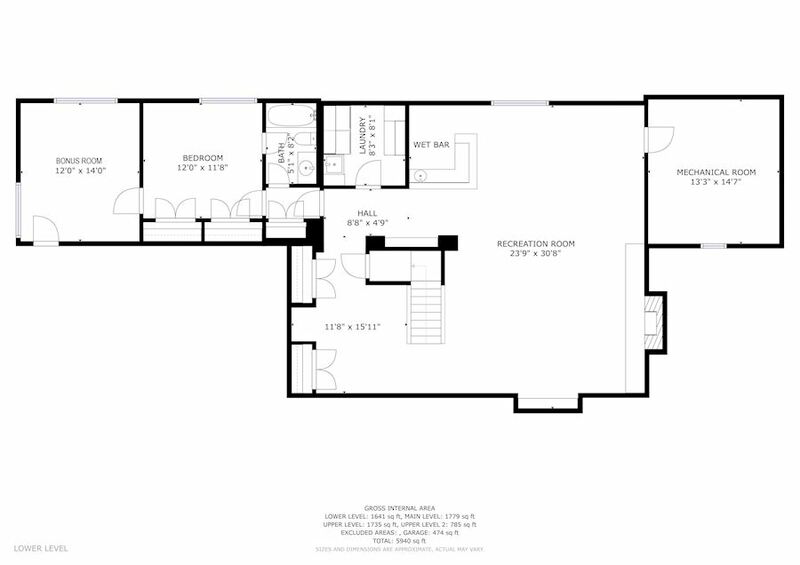 The Second Upper Level showcases 2 Bedrooms and 1 Full Bath. 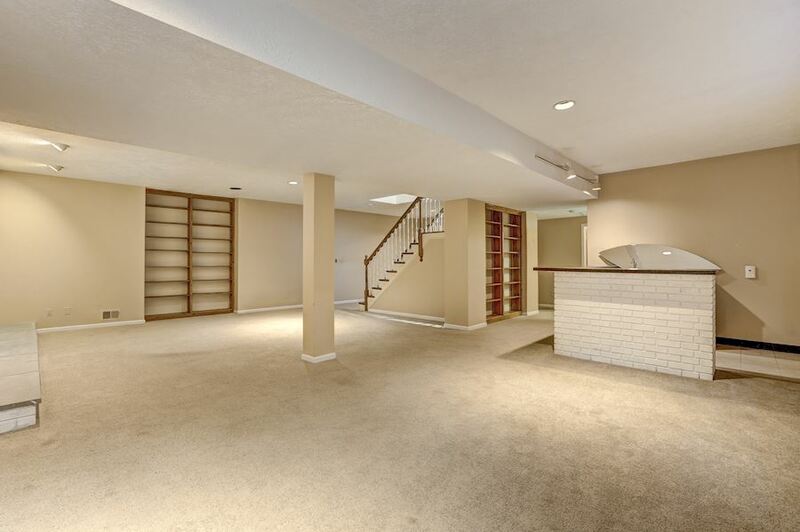 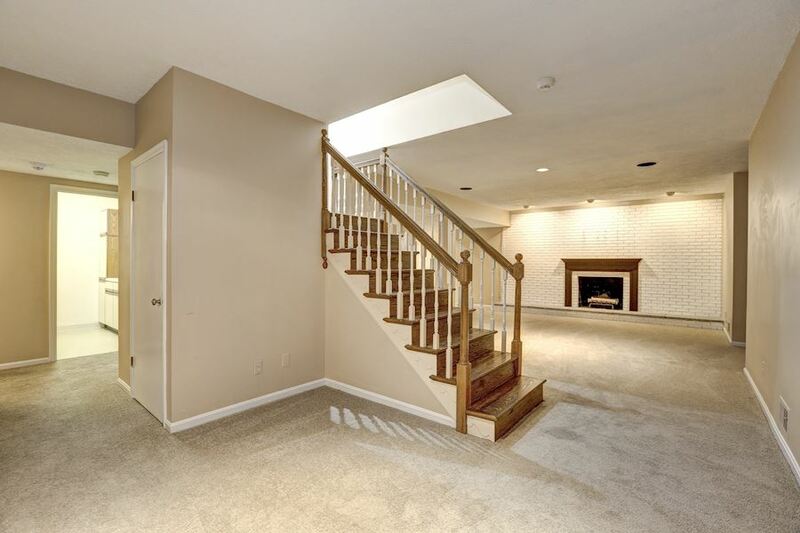 An expansive Recreation Room is on the Lower Level and has a fireplace and wet bar. 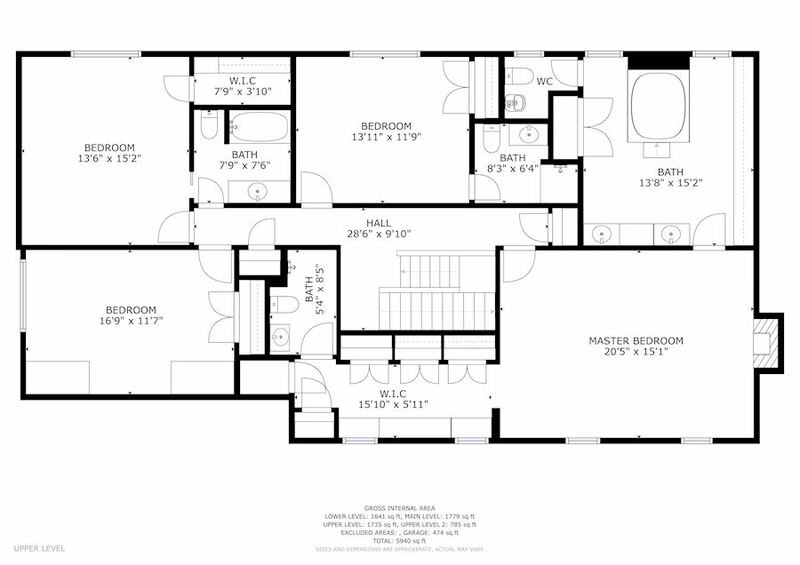 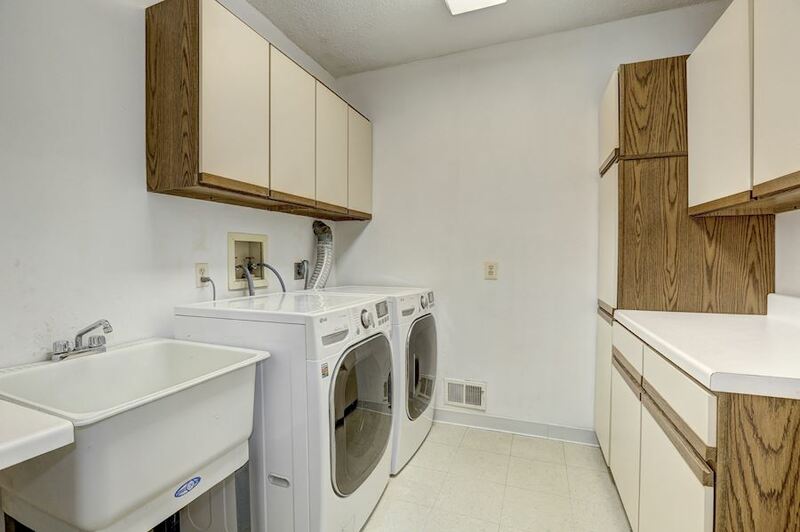 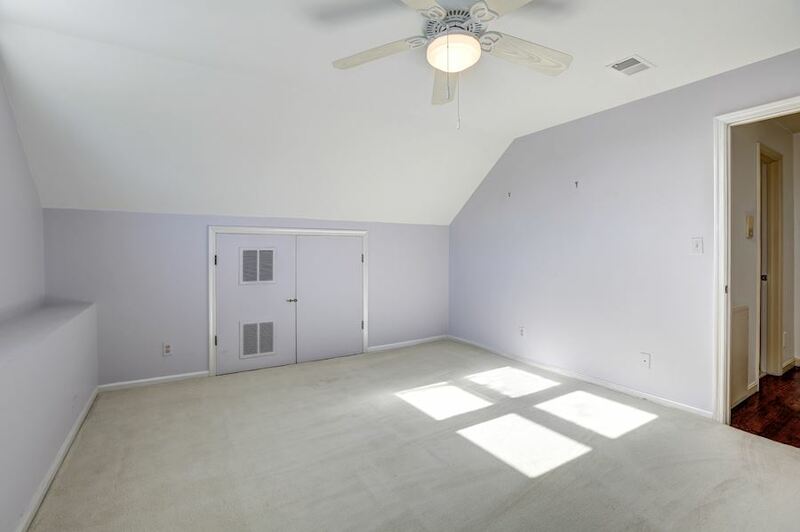 There is also a 7th Bedroom, Bonus Room, Laundry Room, and Full Bath on this level.